Taylor Swift is coming to U.S. Bank Stadium this weekend and you can win tickets to the Friday, August 31 show all this week with the B105 mobile app. Taylor's 'Reputation Tour' is a massive spectacle with multiple stages, at least 8 costume changes, fan participation light shows and more. With a set list of nearly 20 songs and two opening acts, it's certainly a full night. To win tickets, simply download the free B105 mobile app and make sure to keep push notifications turned "on". Today through Thursday, August 30 we'll send out multiple push notifications each day when it's time to call in to win. Follow the link below to download our app. If you already have the app, make sure to check your settings to ensure that the push notifications are turned on. The B105 mobile app is a great way to take us with you wherever you go. 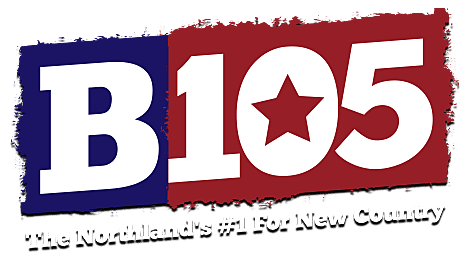 You get easy access to our stories, videos and contests and you can stream B105 from your mobile device. Connect us to your favorite Bluetooth speakers for an even better experience.